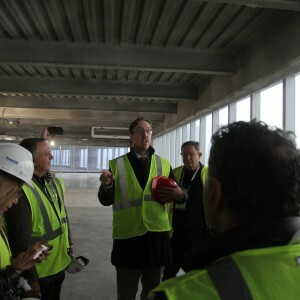 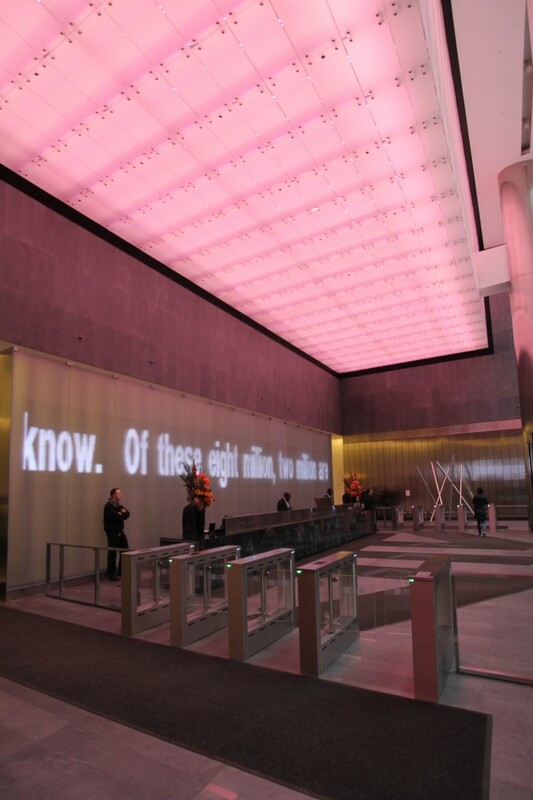 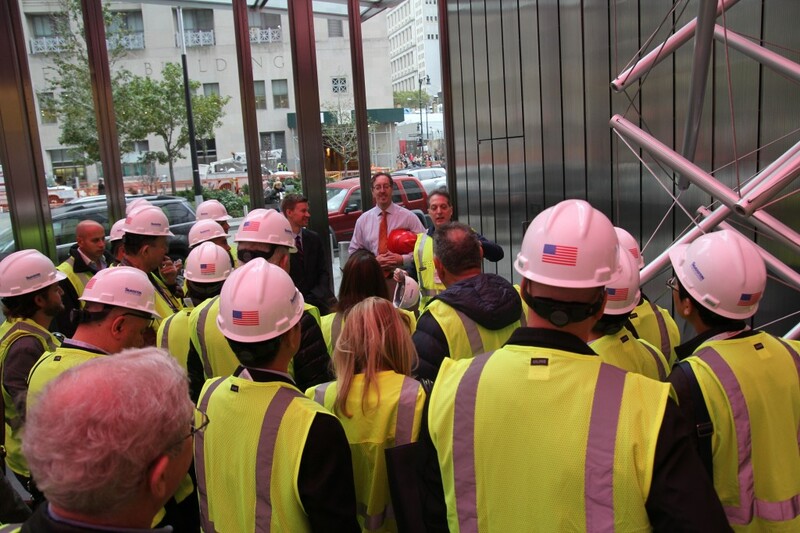 Delegates met in the lobby of 7 World Trade Center, where they were given hard hats and safety vests for their journey to three of the buildings at the World Trade Center site in Downtown New York. 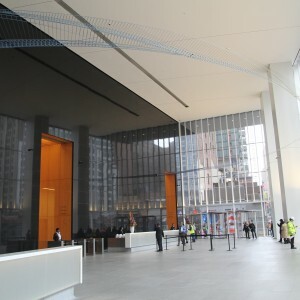 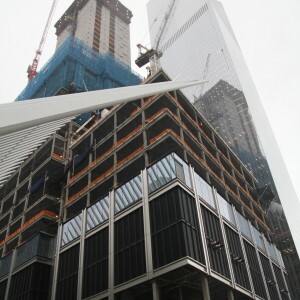 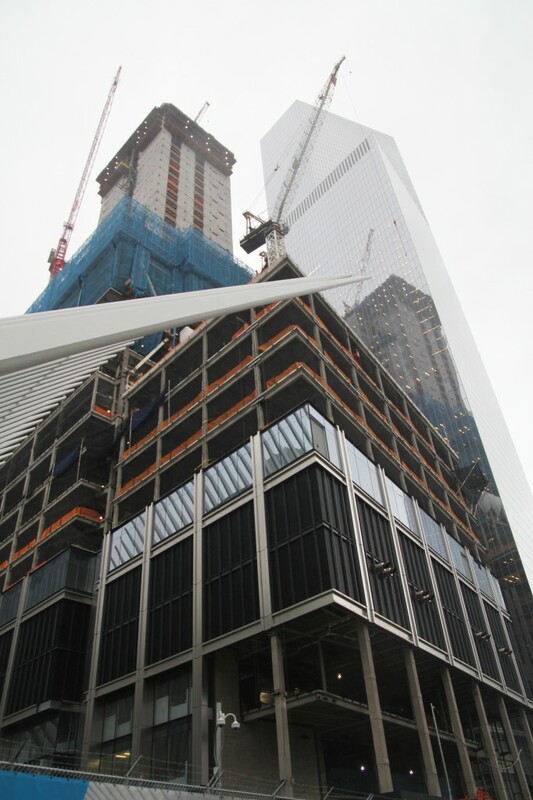 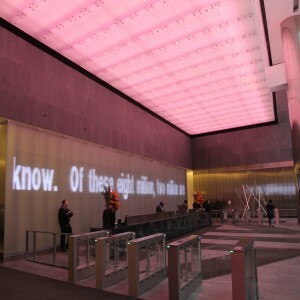 The tour, organized by SOM, began in 7 World Trade Center, the first office building to be rebuilt as part of the site’s redevelopment. 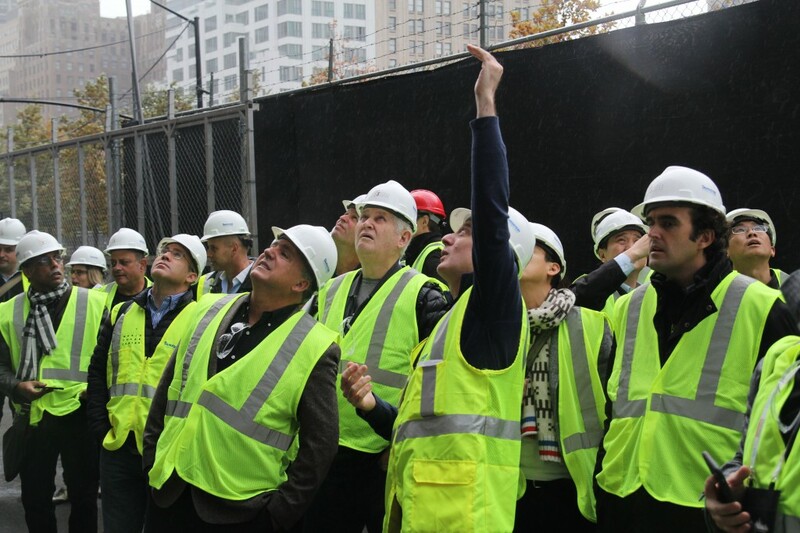 The first six floors of the tower house an electrical substation, which provides power to much of Lower Manhattan. 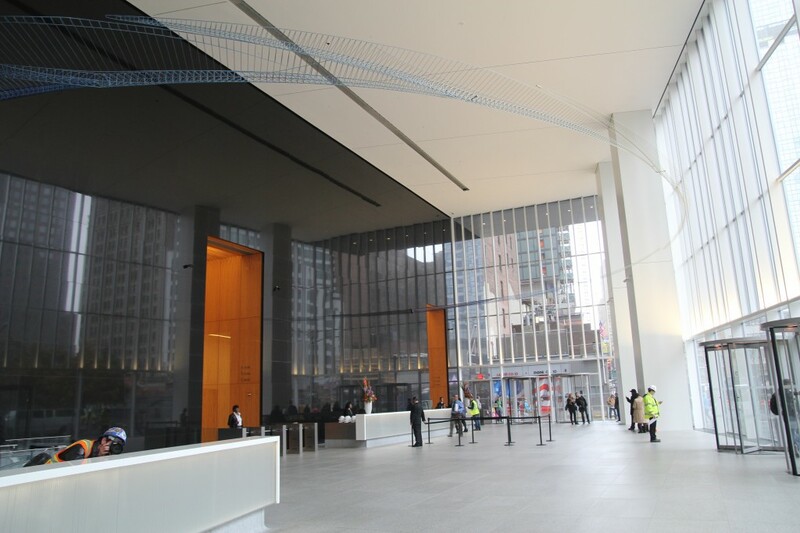 Visitors walked through the private WTC marketing and design center to see models, renderings, and animations of the project. 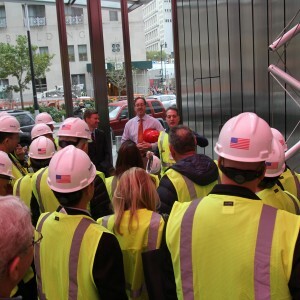 Here they got an overview of the project’s sustainable design features and technological innovations that were implemented with the goal of revitalizing the Downtown Manhattan neighborhood. 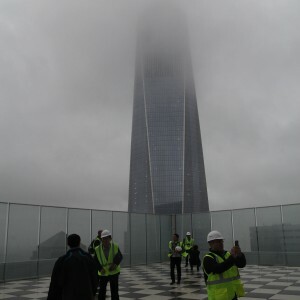 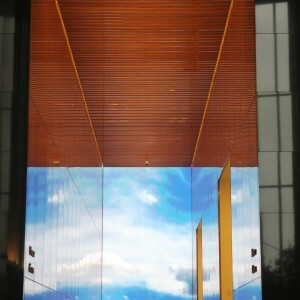 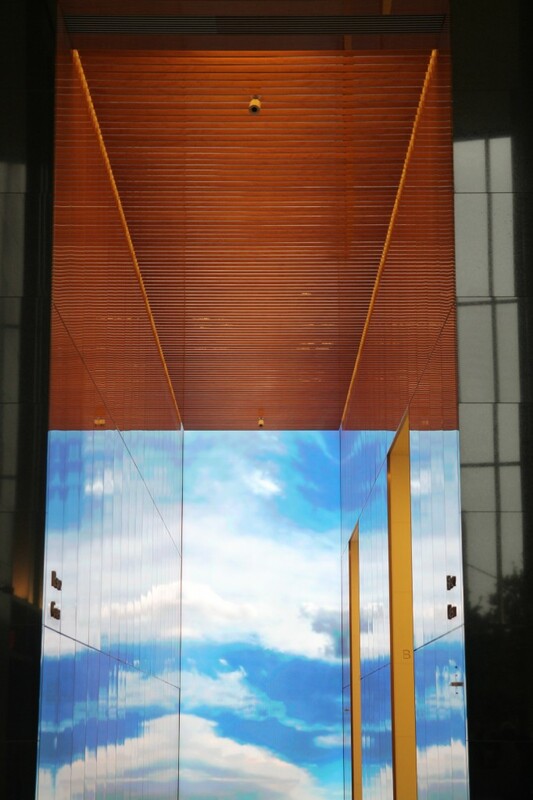 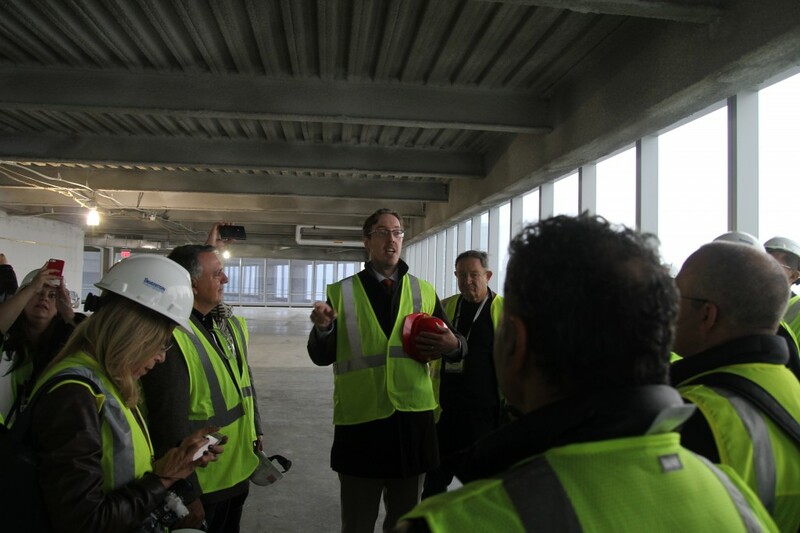 Next, the group visited the construction site of 3 World Trade Center, which has a triple-height lobby with ceiling heights reaching 64 feet (19.5 meters) and a podium containing trading floors. 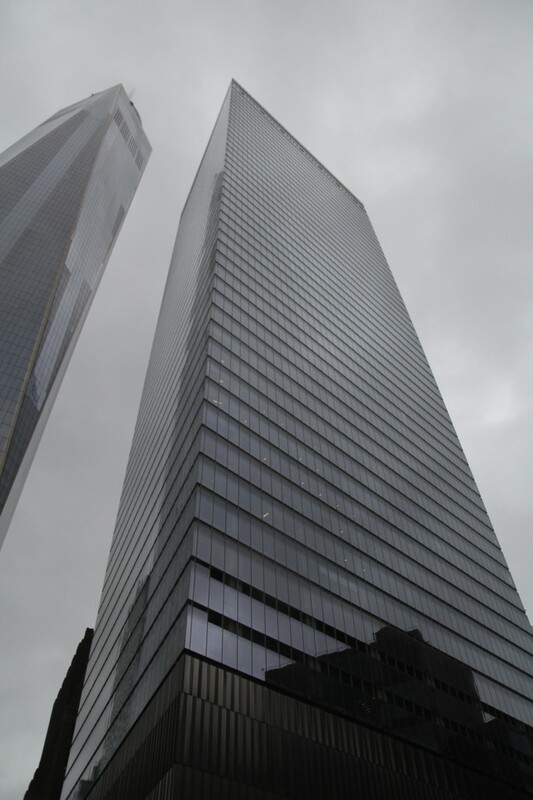 The offices have floor-to-ceiling glass windows, offering views of the entire World Trade Center site and the rest of Manhattan. 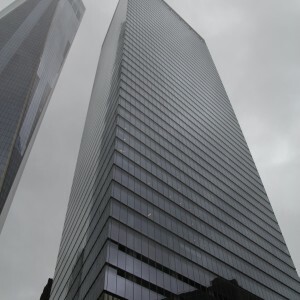 The design of this building exceeds the standards set out by the New York City Building Codes and aims for LEED Gold Certification. 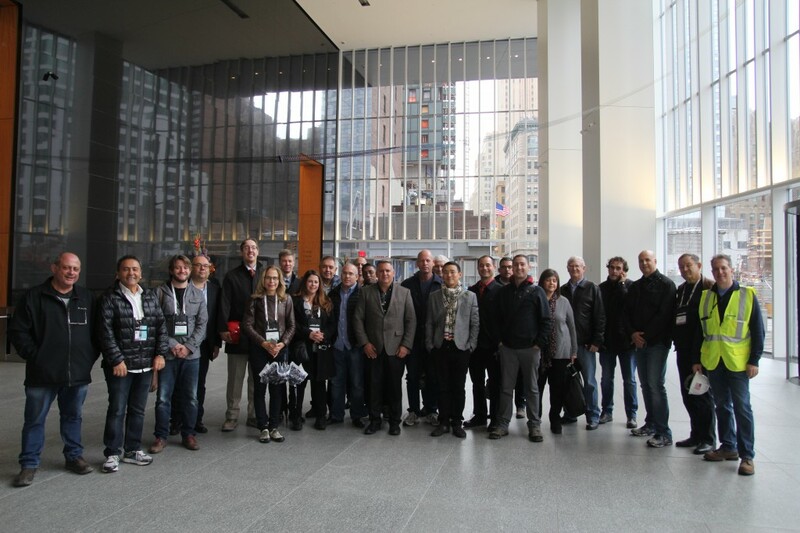 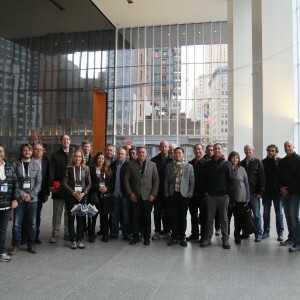 Delegates then toured the recently completed, award-winning 4 World Trade Center, visiting the 57th floor of the building, which offers spectacular 360-degree views of the city, as well as the 9/11 Memorial Park. 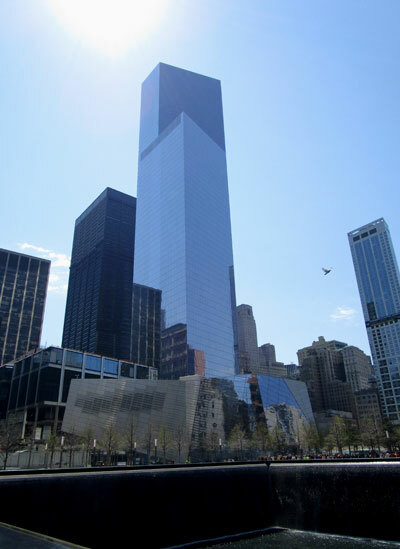 The tower was the first tall building to open on the new 16-acre (6.5-hectare) World Trade Center site. 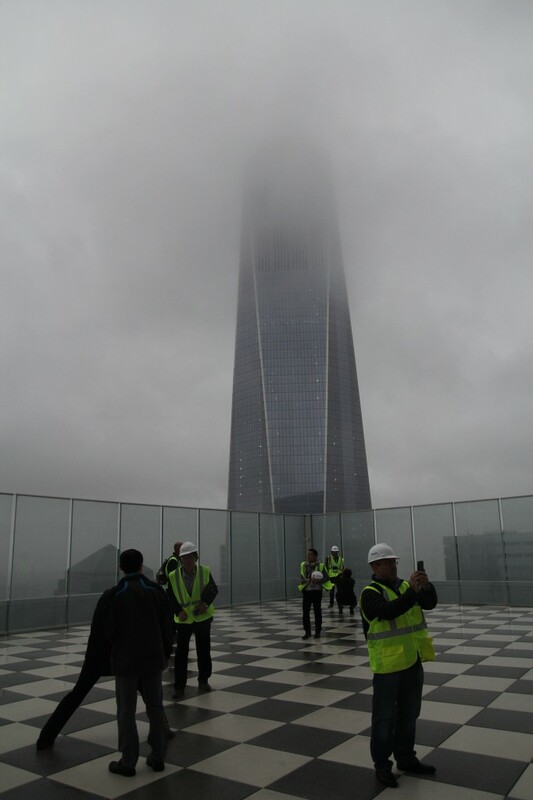 Visitors learned about the complex engineering and architecture challenges that mark this historic project.